I like to consider myself as a bit of an expert when it comes to using Navisworks. I've been using it almost every day for over seven years, you tend to know it inside out in that time. Occasionally however you find something out where you kick yourself for never having tried something out, that moment happened on THEbar, the 'genius bar' of Autodesk experts at Autodesk University 2012 where one of my colleagues pointed out this tip. It's fair to say that it does make models look more appealing! Then go into Interface > Display > Autodesk in the options. Switch on Screen Space Ambient Occlusion, change Shader Style to Phong (there are other options), and change the Multi Sample Anti Aliasing (MSAA) Level to '4x', higher will significantly affect performance. Obviously this view isn't for everyone, and may not have the same performance on larger models, but it may help in reviews where you are looking for management buy in. 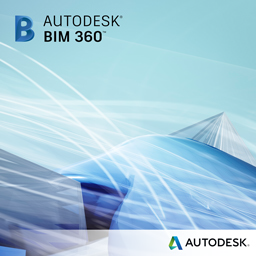 Hi George, please do, can you email them to beyond.design@autodesk.com and let us know if we can use them on the blog? At our office we applied the settings as suggested in the article and were quite pleased with the results. As stated there is drop-off during navigation of larger model sets, but it's bearable. Can I forward you image examples? Sorry to hear that you don't find the implementation suitable. I passed these comments onto development and our implementation is very similar to that of Revit's with a couple of minor changes, so we're surprised at the result you're getting. The occlusion culling is much needed in Navisworks, but without wanting to sound overly critical as it stands I don't think it's ready for use and the developers need to go and talk to the Revit team. 1) Large flat surfaces (seems to affect vertical, not horizontal) can become almost black when viewed at certain angles - for some when viewed parallel to the camera, for others perpendicular. For these surfaces the occlusion culling also seems to make the faces dark towards the centre, not towards the edges as it should. 2) Occlusion culling should be completely ignored for transparent surfaces. In addition, the extent of the effect on appears to be something like a fixed number of pixles, meaning that as you walk towards or away from faces the shadows change in size relative to the faces - it would be better if the effect was a fixed model size. As mentioned in the article, there can be a detrimental effect on performance as this will draw on the CPU as opposed to just the graphics card. On smaller models this will be negligible, larger models however you may get increased drop out. Try it out and let us know how you get on. Regarding materials from Revit, this is currently only possible via FBX, we do hope to have this in a future release though. Really impressed. I would like to know how to get any materials applied in Revit to carry through for Navis to use with this driver. Do you have to take it through as an FBX file?